Co-produced James Earl-Jones & Vanessa Redgrave in MUCH ADO ABOUT NOTHING directed by Mark Rylance at the Old Vic, London. 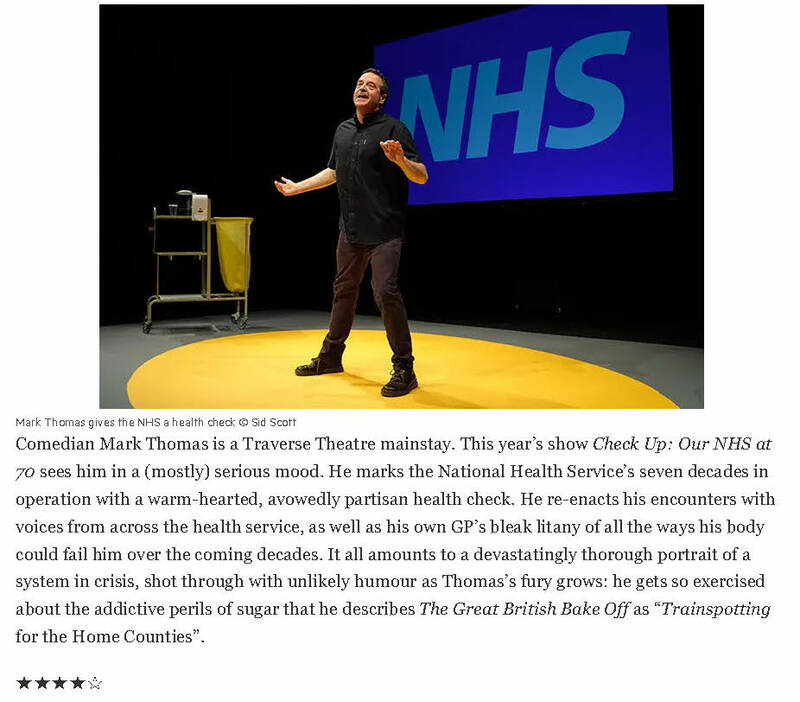 Directed Mark Thomas: Check-Up – Our NHS @ 70 – at the Traverse Theatre for Edinburgh Festival 2018, Arcola Theatre in October 2018 and on a national tour ending for a fortnight from 22nd April 2019 at the Battersea Arts Centre. For further information and to book tickets for the tour, go to ournhs.org or www.markthomasinfo.co.uk. Special performance for the Department of Health and Social Care in Whitehall on 7 May 2019. FEBRUARY 2019 – directed a South African Cape Coloured version of David Greig’s Midsummer (adapted by David Kramer) and re-titled Happy New Year at the Fugard Theatre, Cape Town. The Grenfell Inquiry with Richard Norton-Taylor for the Bush Theatre.